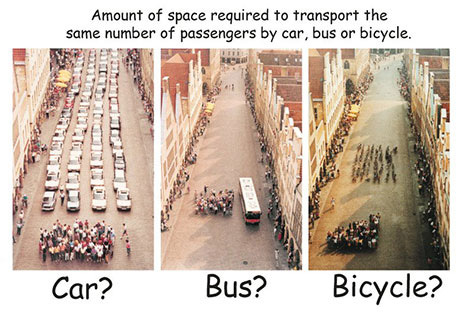 We're all familiar, I'm sure, with the famous poster showing how much space these different transport modes take up. As well as the many modern versions of the same theme. "At the left is an everyday scene of traffic conditions in our downtown district. And yet, by actual count, there are more people on the one bus or the one streetcar than there is in all of those automobiles." There were numerous campaigns and posters in the US of the 1920s trying to get people to consider - or reconsider - taking public transport in light of growing congestion. 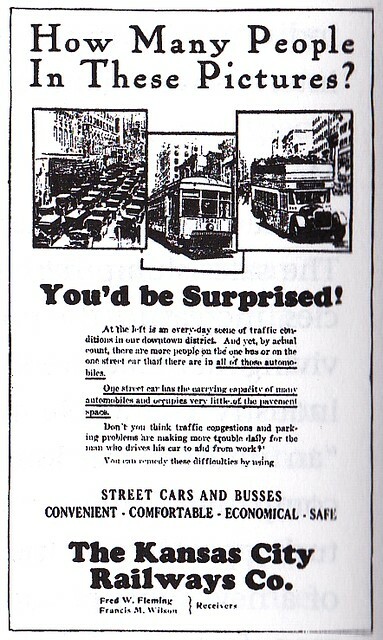 Here's another poster, from Chicago, praising the streetcars for their efficiency of space. "One street car gives more service than 35 automobiles". Another one from Chicago. A "balky automobile or broken down truck on a street car track often delays 50,000 people in reaching their destinations". 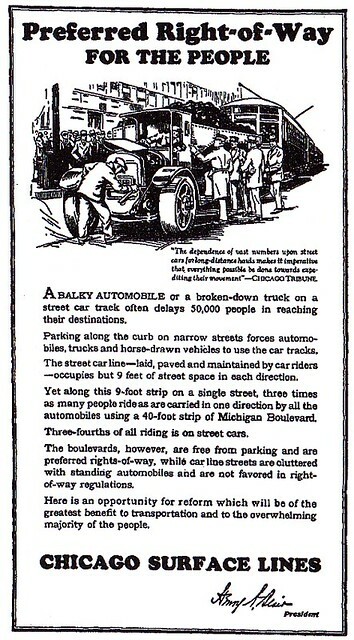 The Chicago Surface Lines were really active in battling the automobile. They obviously lost the battle, but they went down with a fight. Here is another poster/ad, this time from Westinghouse, in 'Nation's Business' publication in 1926. 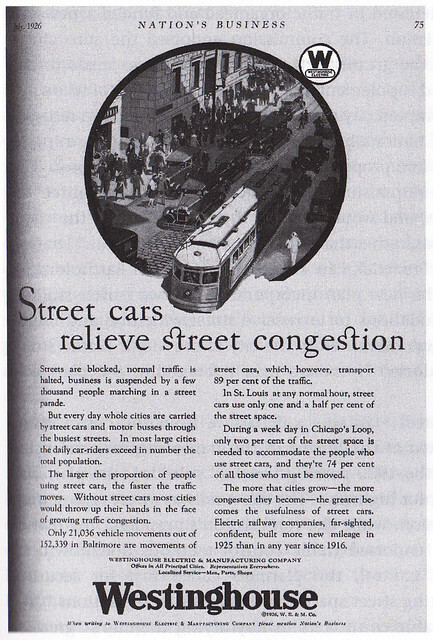 "Without street cars most cities would throw up their hands in the face of growing traffic congestion." "In St. Louis at any normal hour street cars only use one and a half percent of the street space." "During a week day in Chicago's Loop, only two percent of the street space is used to accommodate the people who use street cars". "Electric railway companies, far-sighted, confident, built more new mileage in 1925 than any year since 1916." So many amazing numbers on all these posters about how many people were transported by public transport in the 1920s. 89% in Balitmore. 74% in Chicago. The Rights of the Majority. Boy, do things look different now. But perhaps these vintage ads can provide inspiration.